AM3-25 is a lipophilic styryl dye that has an amine group at the hydrophilic head. The amine group reacts with formaldehyde or glutaldehyde to make the dye fixable. Nerve Terminal Staining Kits contain Biotium's nerve terminal dyes and accessories for washing away or quenching extracellular dye fluorescence. Tetrodotoxin (TTX) reversibly blocks excitable sodium channels and has been a widely used tool for studies of excitable membranes of nerve, skeletal muscle, and cardiac muscle cells. 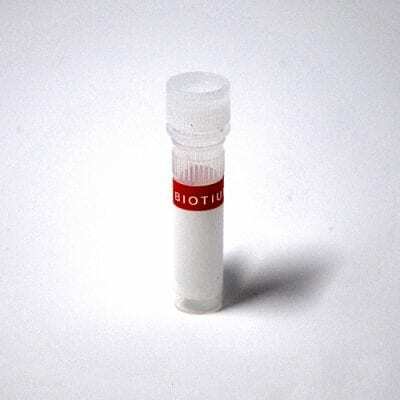 Biotium offers high quality tetrodotoxin at a competitive price. A potent inhibitor for the motor endplate acetylcholine receptor (Kd = 1 nM to 1 pM). Also see our fluorescently labeled and biotin labeled bungarotoxins. Cholera toxin B subunit is used for tract-tracing in neurological research, targeting GM1 ganglioside binding and retrograde transport. CF® dyes offer exceptional brightness and photostability. CellBrite™ Cytoplasmic Membrane Labeling Kits are designed to label cell cytoplasmic membranes with fluorescent dyes, available in blue, green, orange, and red. The labeling is stable and nontoxic, suitable for long-term tracking of cells. ViaFluor® Live Cell Microtubule Stains are cell-permeable taxol probes for imaging the microtubule cytoskeleton in live cells. Available with blue, green, or far-red fluorescence.